Our pricing is competitive and we'll always provide what you need to get your event or party started off High Profile Style. We always require a deposit for our journeys and guarantee a great time on our vehicles so get in touch for a customised quote. 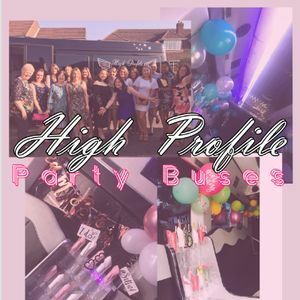 High Profile is a Limousines and Party buses Company and has been operating for over 10 years and continues to exceed expectations from customers every year. We have now added a Mercedes Party buses to our fleet. We offer high quality services at affordable prices for all different events and ages. The Party buses and Limousines are amazing mobile party venues. Whatever the event or wherever the celebration is, The Party bus is dedicated to providing high quality service in London and Nationwide. Hi Danny, just wanted to say thank you so much for the bus on Saturday my brother had a good 18th Birthday. Great bus, nicely decorated and was comfortably able to accommodate 14 people and all their coats and things. Driver was punctual and discreet, accommodating also with the last minute change of plans. You will receive complimentary bubbly or soft drinks with every booking. With High Profile you can also order a specific drink and we'll get that at a good price for you and that will be ready on ice for you. We'll quote a maximum of 3 hours for a drive around/tour. 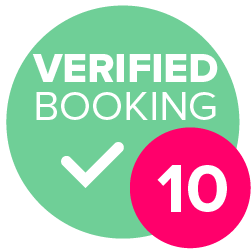 It is £100 per hour thereafter where you can arrange within your booking. Private hire, chauffeur driven service catering to all. Transporting you to your event or providing a great alternative party experience.